View list of all Brown Bag Research Talks. Initiated in 2012 by Dr. Alisa Mosley, the Brown Bag Research Talk Series sought to contribute to the intellectual discourse with an emphasis on best practices in research and teaching. It served as a common and relaxed space for faculty, students and the university community to collectively consider inquiry, ideas and methods spanning disciplines and fields. In its first year, presenters were exclusively recipients of the Center's grants to support presentation of research at conferences. The Brown Bag Research Talks Series consisted of talks of 20-45 minutes followed by lively discussion with small, but engaged audiences. Over the four years of the program, there were 36 talks presented by 38 faculty members many of whom presented as part of interdisciplinary teams. A few of them presented multiple times. 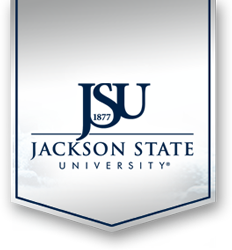 For many faculty new to Jackson State University, it provided a forum in which they could introduce the ideas, praxis and methods about which they are passionate. One of the highlights of the series is the interdisciplinary multimedia collaboration that resulted in The Sound of Drawing Instruments. The collaboration grew out of the inaugural year of BBRT talks. Prof. Chung-Fan Chang, a visual artist, presented Kite, a discussion of the meditative aspects of drawing, and Dr. Ivan Elezovic, a music composer, presented A Structure in C, an explanation of the theories that inform his music composition. After attending each other's talks, they began to work with Prof. Mark Geil, a photographer, on the project that became The Sound of Drawing Instruments. The multimedia piece made its world premiere at the International Festival for Innovations in Music Production and Composition (IFIMPaC) in 2015. Talks in the series were often out-growths of larger scholarly agendas or explorations of ideas that were fleshed out into productive research and creative agendas. Dr. Deborah Barnes expanded her initial BBRT talk, Carnivals of Blood: The Business of Spectacle Lynching," into a series of three lectures exploring contemporaneous narrative discourses of lynching. Dr. Park and Prof. Carraway's talk, "Hidden Jewels of JSU's Permanent Art Collection," was the first public exposition of Park's project to publicize and develop an open-source digital gallery for the collection. Dr. Robert Luckett's talk, "Massive Resistance: The Evolution of Racist Politics in Mississippi," previewed elements of his book published two years later, Joe T. Patterson and the White South's Dilemma: Evolving Resistance to Black Advancement. At its best, the Brown Bag Research Talk Series facilitated interdisciplinary collaboration for research and creative endeavor.